CapoVelo.com | Oleg Tinkov: "My Team Doesn't Need a Co-Sponsor"
CapoVelo.com - | Oleg Tinkov: "My Team Doesn't Need a Co-Sponsor"
Speaking with the Danish media, Oleg Tinkov says his team doesn’t need a co-sponsor next year. Indeed, after an eight year relationship, Saxo Bank is at a crossroads, as whether it will continued its sponsorship of the Russian team for 2016. However, the gregarious Tinkov has shrugged off the possibility that Saxo Bank may opt out next year by saying, “Why should I have a co-sponsor? This looks nicer with just one name”, referring to his team’s jersey. Saxo Bank is expected to undertake talks with Tinkov at the conclusion of this year’s the Tour de France, and decide whether or not they will continue along with the team. The Danish bank first started sponsoring the team in 2008, with then owner – Bjarne Riis. However, after a little less than two years, Tinkov took over ownership of the team at the end of the 2013 season, with his own Tinkoff Bank taking lead role. However, following Riis’ unceremonious departure back in March, rumors began circulating that Saxo Bank was considering pulling out, since the team no longer had ties to Denmark. 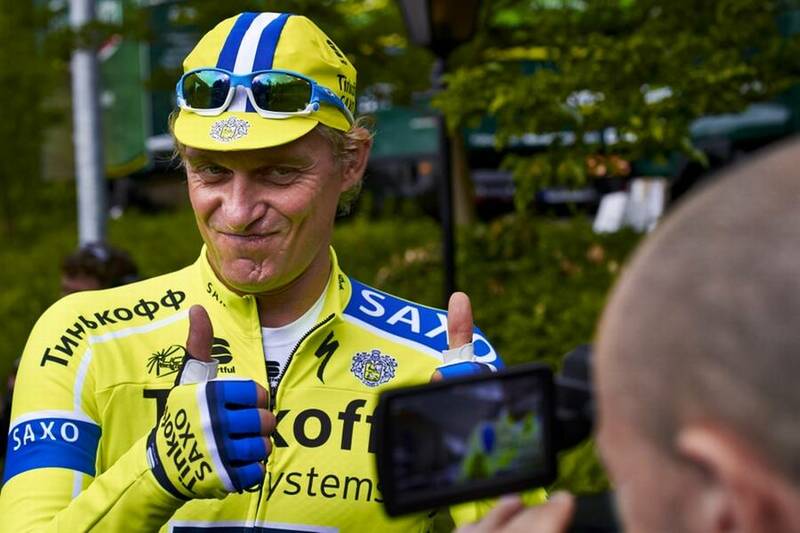 Still, Tinkov hasn’t ruled out the possibility of Saxo Bank staying on either.